← A matter of the heart…. This is a verse image to go with the previous post. Notice the ‘always’ and ‘forever.’. Yehovah does not change and His Word is everlasting. 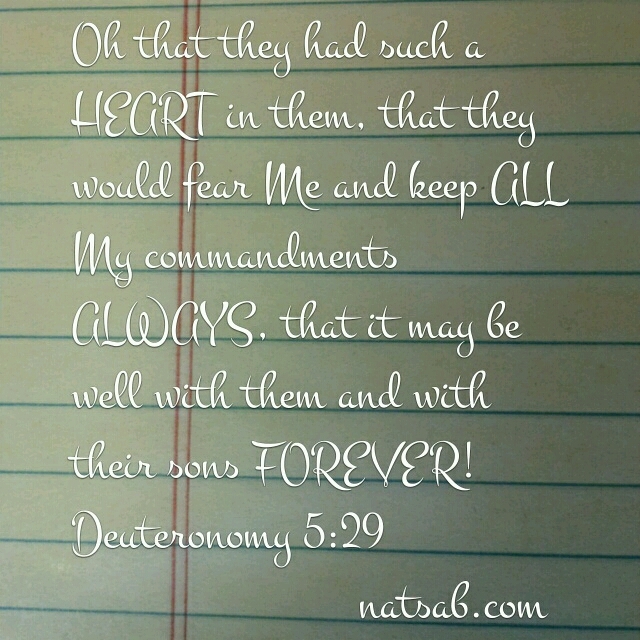 NONE of His commandments have EVER been ‘done away with.’. That Christian doctrine is a manmade fairytale tradition. This entry was posted in Visual Scripture and tagged fairytale, false doctrine, lie, tradition. Bookmark the permalink. Did away with always just like ‘forever’?!?!?!?!?!? Yeah. According to Christendom, ‘forever’ only means FOREVER if it appears in Genesis 9:8-17. But, it definitely doesn’t mean FOREVER in Exodus 31:12-17, despite identical words, phrases and language pattern. Stiff necks will go to any length to justify themselves… I did. Praise Abba that He was relentless.